Anyone have any idea when these will be available or which local dealers will have them ? I will take it either way 308 or 39 because I use both calibers. Pardon the resurrection of a zombie thread, but I'm thinking of either a 300BLK for my next build, or use that money to fund a semi-auto .308 instead. I didn't get an M1A or an FAL before the 2013 Bill, so... other than what's already been stated (looks like an AR-10 of some configuration) is there anything new? oh... that's MD compliant! I like the Aero Precision M5A1 enhanced. Ar10 in dpms pattern. You can build it or buy complete from them. It been discussed often here. 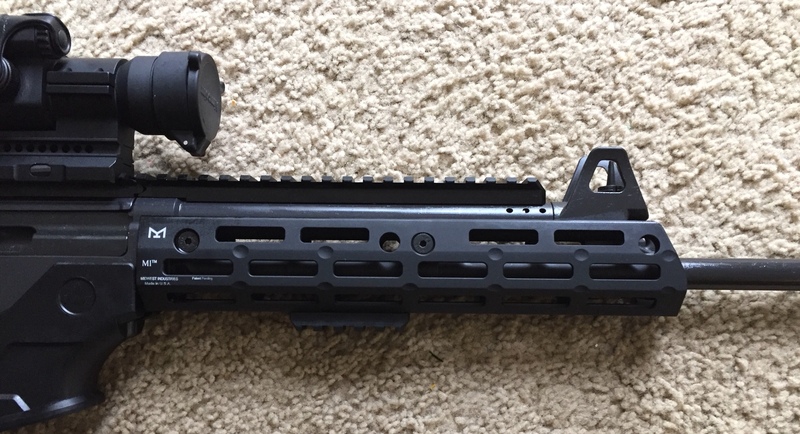 Ar10s are legal in MD, no barrel restriction. Hey Mopar! Did you ever get a .308? Just enter the Grab A Gun give away for a chance at a Galil Ace in 308. Probably tell you to get lost because of the magazine, but if I wanted a MD legal .308 battle rifle today I'd probably go Galil ACE. That is the route I am going. Basically anything made since early 1990s in .308 is MD legal. Galil Ace, SCAR, AR-10 (okay, that isn’t new), Vepr if you can find one, PTR I think is legal, CENTME appears to be (I see it gets debated sometimes). AR-10/AR-308 doesn’t have nearly the parts comonality that the AR-15 has. That said, there is something like 1/3rd parts compatibility across all of them and if you stick to one sub category, like DPMS or armalite, then it is more like 90+% parts commonality. Like the Aeroprecision M5e lower appears to be parts common with basically all DPMS high (determines if it uses a high or low handguard rail height, only difference) AR308 rifles with the exception of the take down pins (actually I think just the front one). Also many have several parts in common with the Ar-15. For the lower IIRC the bolt release and mag catch is different and take down pins. I believe everything else in the lower is the same (some use large trigger pins, but many like the Aeroprecision lower use standard AR-15 diameter pins, so it can take AR-15 trigger groups). Also they take the same buffer tube, stock and handgrip. PTR is not legal - it's a G3/HK 91 clone which are both banned. Cetme might be ok. I know because I got one before the ban.